The President of the European Patent Office, Benoît Battistelli, and the Director-General of Tunisia's National Standardisation and Industrial Property Institute (INNORPI), Amel Ben Farhat, announced today that starting 1 December European patents can be validated in Tunisia and thus regarded as national Tunisian ones. 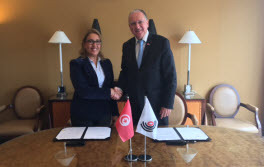 "This agreement brings significant advantages while improving the attractiveness of the Tunisian economy," said EPO President Battistelli. "Companies and inventors from Europe and around the world will be able to easily extend the scope of their patent protection to Tunisia, which is a growing market. To complement this, the EPO will sign an extensive technical co-operation programme with the Tunisian IP office, enabling it to focus on the development of innovation in the country." For her part, INNORPI Director-General Ben Farhat said that "the agreement dovetails perfectly with the letter and spirit of the 2016-2020 National Development Plan, which aims to transform a low-added-value economy into a regional hub by stimulating investment and improving the business climate, by enhancing export capacity and strengthening integration in the global economy." She stressed that the validation system underpinned Tunisia's efforts to bring its national market into line with the European market. The validation agreement with Tunisia, the third to enter into force following similar agreements with Morocco and the Republic of Moldova, will bring to 43 the number of countries where an invention can be protected through the single European examination and grant procedure. 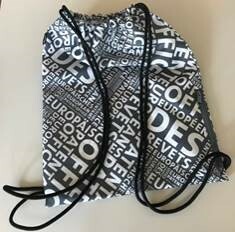 The European patent thus covers a market of some 700 million inhabitants.